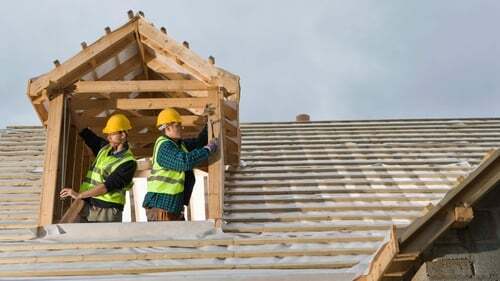 Builders merchanting and DIY group Grafton has said that its overall trading conditions were favourable in the six months to June, as the recovery in the UK and Irish economies became more firmly established and gradually gained momentum. An interim management statement this morning from the company said that its revenue for the half year reflected generally improved demand. It also noted strong growth in the first quarter because of better weather conditions compared to last year. The company said that its group revenue for the six months to the end of June increased by 11.3% to £1.015 billion, up from £912m last year. Its Woodies retail division makes up 8% of group revenue and Grafton said the "very tentative recovery" in the DIY retailing business in Ireland that got underway in the second half of 2013 continued this year. Grafton said its Irish merchanting business benefited from the early stages of a recovery in construction from "historically low levels of activity". Trading in its UK merchanting business - which accounts for 75% of group revenue - was boosted by better weather conditions along with solid volume growth in the residential repair, maintenance and improvement market. "Our UK and Irish merchanting businesses have benefited from an improved market backdrop which, combined with our organic growth plans, means the group is well placed to build on its strong first half performance," commented the company's chief executive Gavin Slark.